This photo was taken at about 10 am in early November 2012. The "Take It!" Came from having photographed the tree which is shown below on its own. There was a "wait just a minute" that happened to me when looking at the neighboring tree which was just a little bit further along in loosing its leaves. 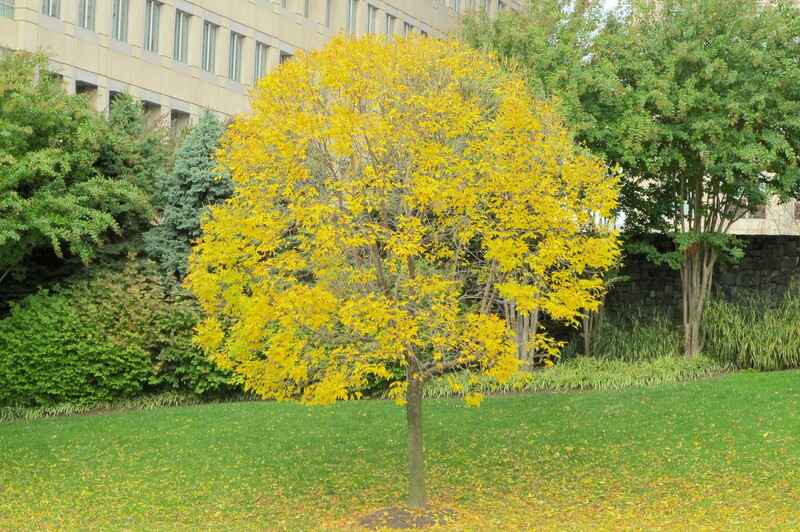 The day was overcast and I have seemingly not been exposed to a lot of spectacular fall colors this year. 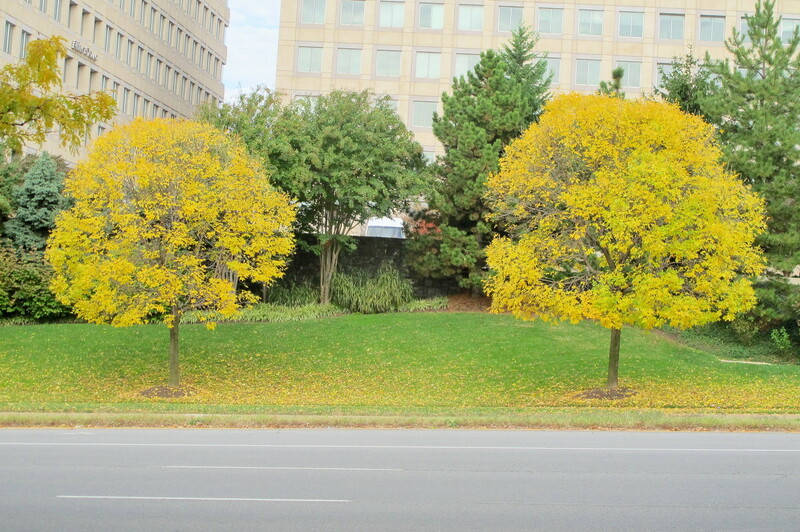 So these little trees with their yellow leaves that had fallen on the green grass which offered a neat contrast showed up, they got my attention. Since taking these pictures, both trees have lost all their leaves. Fall is seemingly more fleeting this year as we have so many huge distractions. Savoring even the small seasonal offerings has become a wonderful way to put all of the pressures aside, even if it is just for a moment. Here is hoping you have some nature visuals you see on a regular basis that offer you a steady reference point outside yourself which provides you with joy. Thanks for joining us for the current photo presentation. You are cordially invited to return Friday, December 14th for a new picture that we hope you will enjoy. I wish we had colors like that out where I live. The contrast in that first photo is stunning. That was a good catch.